The Kershaw Pro Grade series allows you to select the right knife for your fish processing needs, and this 9.5 inch model 1289 is just right for the big boys. The flexible 420J2 stainless steel blade easily fillets larger fish. 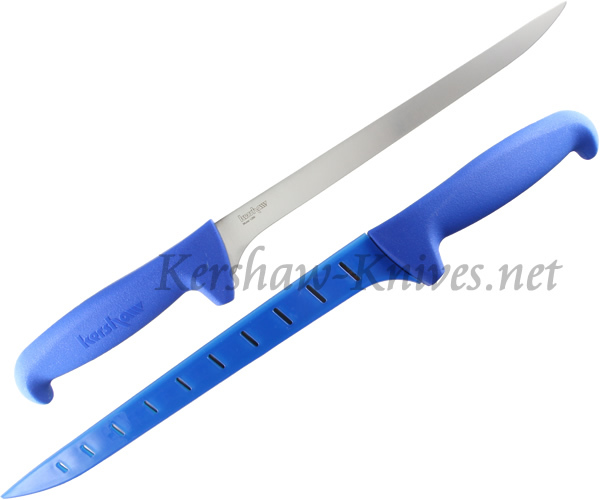 The polypropylene handle is designed for comfort. The lightweight design of the 1289 helps reduce fatigue associated with using the knife. A vented blade protector is included.